Ski vector illustration. Action sports image with a skier flying over a jump or drift with splatter graphics creating flying snow. 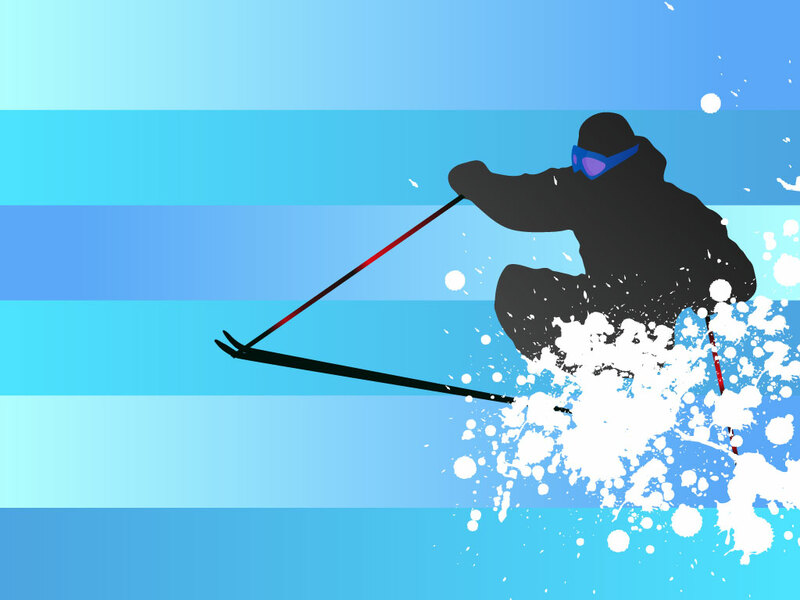 Silhouette style image with colored ski poles and goggles. Free download that let you instantly create exciting winter posters, action time graphics and screen printed t-shirt designs. Tags: Action, Active, Extreme, Mountains, Ski, Sliding, Speed, Sports, Travel, Winter.